Our 32nd Annual Rotary Radio Auction was another great success with over $55,000 raised with both of the Port Hardy and Port McNeill clubs involved. Some of the proceeds raised go back into local North Island community projects. "Each and every day I'm proud to be a member of the Rotary Club of Port Hardy, but yesterday was an extra special day. Our club raised $8000 to donate to the Gazette Hamper Fund. I said it at our meeting yesterday, this really is my favourite day of the Rotary calendar. Rotary International does some incredible charitable work around the planet, from polio eradication, to environmental projects, bringing clean water to communities in need etc., but for me, the most important work that our local club does is helping our community in times of need. Being able to present Sandy Grenier and the Gazette Hamper Fund with a cheque like this is a pretty powerful thing. This cheque represents the hard work and giving of all of our membership, and the charitable donations of our community. There are so many people in the community that have a hand in this donation, and that makes it all the more special. 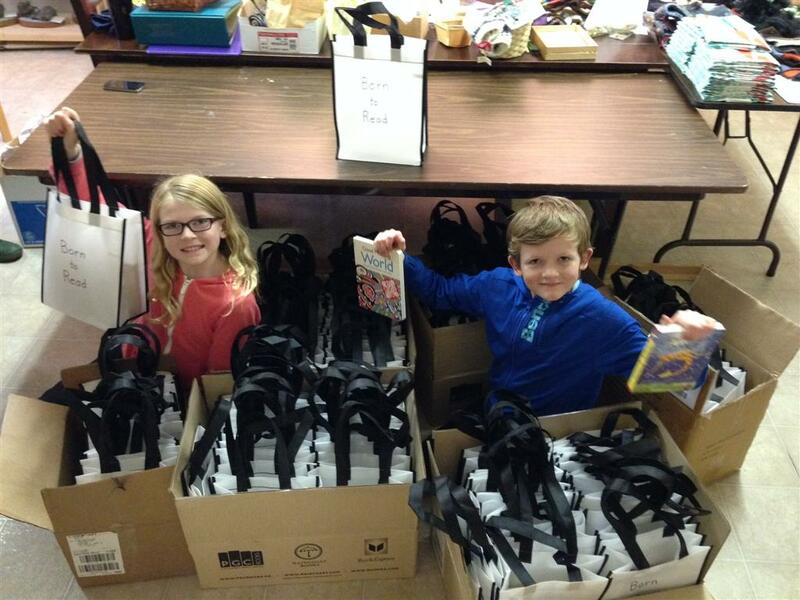 I know that the need is high for our community at this time of the year, and am so glad that Rotary was able to help!" The Port Hardy Rotary Club was the 90th and final club visit for District Governor Craig Gillis! It was also a perfect way to celebrate our Treasurer, Dale Dorward's birthday! Grade 12 Port Hardy Secondary School student Kaleigh Harris receives the 2018 Rotary Club of Port Hardy Service Above Self Award presented by Principal Rena Sweeney during the PHSS awards night held on June 21. Chuck Lok swore in our 2018/19 Incoming President Adam Ireton and his incoming excutive, while Heather Patriquin thanked her outgoing executive for their service during the 2017/18 year. Great food catered by Sporty's, karaoke by Glenda, finished with wonderful company! There are over $86,000 in items up for grabs in this year’s auction! Grade 12 student Olivia Haysey is the recipient of the PH Rotary Service Above Self Award at PHSS. 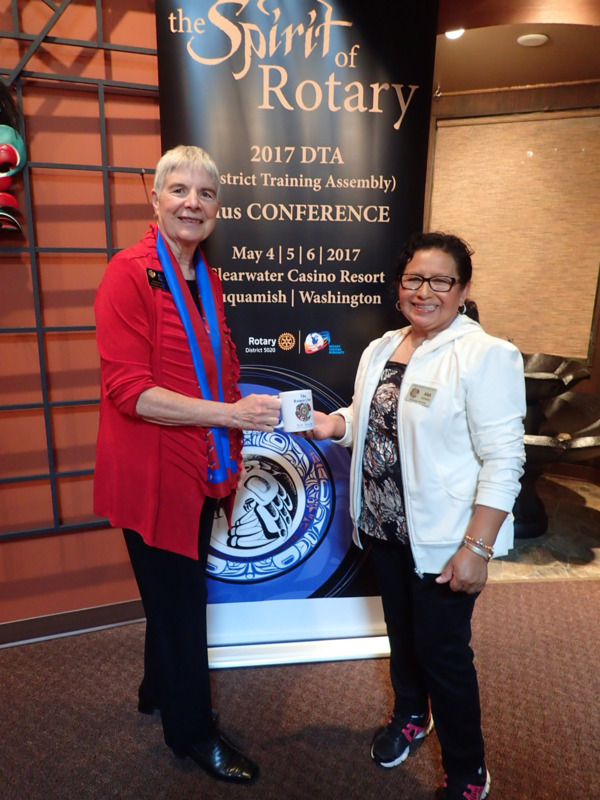 2016/17 Club President Ana was tickled that District Governor Joanne Croghan visited our club. Members from the Port Hardy Rotary Club welcomed Ann to Port Hardy last Friday. Ann is visiting us from Taoyuan City, Taiwan. Our current exchange student, Reysad who is from Indonesia, has been learning about a few local Christmas Traditions and enjoying many firsts. Dan Foster joined our club on December 11, 2014. Dan is the owner of Foster and Company Chartered Accountants formerly known to most of us and Smyth and Company Chartered Accountants. Alfons Bauer rejoined our club on November 20, 2014. Alfons is happily married to Jane and is the proud father of Bianca. Outside of Rotary, you can find Alfons managing the Sporty Bar and Grill where you can enjoy all sorts of good things - from fine dining to a quick lunch and fine wine tastings to karaoke. He is also the brains behind Alf B Images for all your photographic needs and is head chambermaid at Escape Bed and Breakfast on Byng Road. PS. Alfons - that is the only free advertising you're going to get. Any further mention of Sporty's, Alf B Images, or Escape B&B and it's a donation to the fine box :). Our 2014/15 Rotary exchange student, Resyad Ghifari Moeljadi arrived in Port Hardy today. He is from Cikarang, Jawa Barat, Indoneisa. WELCOME! Thank you to everyone who helped make the 2012 Port Hardy/Port McNeill Rotary Auction another smashing success! We raised $56,198 this year! We look forward to providing our communities with projects for everyone to enjoy! The 26th Annual Rotary Radio Auction is live at the Thunderbird Mall in Port Hardy November 3 & 4. Download the 2012 Catalogue from this site and come on down or listen live on The Port 1240am, Keta Cable Channel 10, or on the web at www.theport.ca. Funds raise support community projects of the Rotary Clubs of Port Hardy and Port McNeill. Download the long awaited, much anticipated 26th Annual Rotary Radio Auction Catalogue from our home page. Looking for something in particular? Try the search function by pressing “CTRL + F”, then type what you’re searching for. 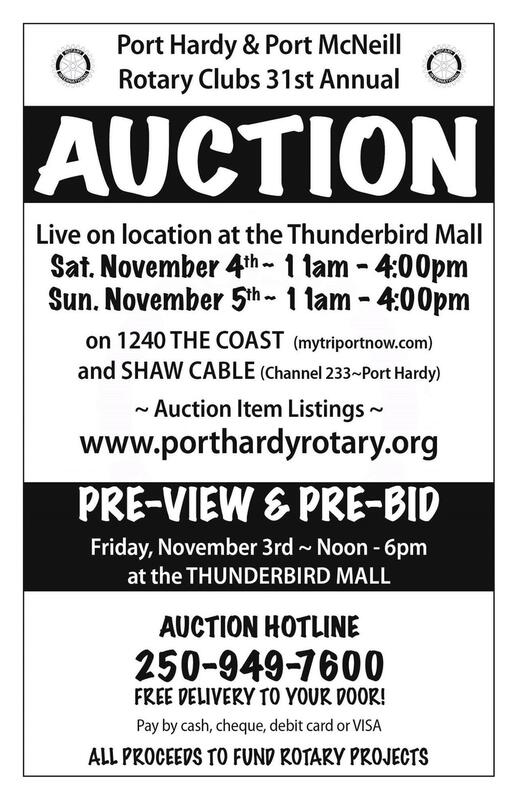 Preview and pre-bid Friday, November 2 from 4-6pm at the Thunderbird Mall in Port Hardy. See the action live at the Thunderbird Mall from 11am to 4:30pm Saturday November 3 and Sunday November 4, 2012. Listen live to The Port 1240am or on the web www.theport.ca. Make your bid in person or by calling 250-949-7600 during the auction. Thank you to the many businesses that generously donated to the Auction this year. Your support will enable the Rotary Clubs of Port Hardy and Port McNeill to continue providing valuable community projects. Welcome to the new Rotary year July 2012 -June 2013! Our Executive Team for the year is at the left - feel free to contact us with any questions! Lorraine Munro spent her childhood in Ontario. Her family then moved to Alberta where she later met her husband to be, Ron in Edmonton while they were both working at the Edmonton Inn Hotel. They moved to Red Deer where Lorraine entered the nursing program at the age of 29. She... completed a degree and then went on to complete a masters along with a nurse practitioner certification. Lorraine has 2 step children, now adults in their 30's. One is living in Ontario with his wife and child and the second is in Saskatchewan. You are probably wondering what brought this couple to Vancouver Island? The connection is Lorraine's father - who lives in Comox. Lorraine and Ron love the outdoors. They enjoy the kayaking, golf, scuba diving, hiking and sailing. Their sailboat is also in Comox. When Ron was ready to semi retire from instructing in Hospitality and Tourism, they decided they wanted to make the move to Vancouver Island so they could enjoy more work - life balance. This made it an easy transition for Ron to become a kept man. Lorraine secured a job at the Port McNeill Medical Clinic and they bought a house at Storey's Beach, with the assistance of "Rookie of the year" Sandra Masales. They are getting very sick of people asking them "are you the couple who bought IV's house?" and are really starting to dislike IV without ever meeting him. So, now they are living the dream! Lorraine is finding it harder and harder to make time for work. Unfortunately, she has been forced into reality - she does need to take work more seriously in order to pay for their $900 hydro bill this month! Ron and Lorraine are empty nesters with a wonderful dog named Kate. Lorraine is not shy about her age - she is 53. Although Lorraine works in Port McNeill, she wanted the opportunity to join the Rotary Club of Port Hardy in order to be more connected with the community she lives in. In the short time that I have known Ron and Lorraine Lines, we have become good friends and I believe they will be an asset to our club! Peter Taylor, the District Governor of Rotary District 5020 came for a visit last month along with his wife. Gene Cadwallader introducing/welcoming our newest member of our Rotary Club, Carly Pereboom! Welcome! The last Rotary profile in a 13 week series leading up to the 100 years of Rotary in BC! See next weeks 8 page spread!! #12 in a 13 week series leading up to the 100 years of Rotary in BC! Stay tuned for next weeks! #11 in a 13 week series leading up to the 100 years of Rotary in BC! Stay tuned for next weeks! #10 in a 13 week series leading up to the 100 years of Rotary in BC! Stay tuned for next weeks! 2014 District Conference will offer a diverse roster of excellent speakers focused on Engaging Rotary to Change Lives. We will celebrate the accomplishments of the year and you'll have a chance to rub shoulders with other Rotarians, enjoy fellowship and be inspired. While you're in Whistler looking for Pete, take some time to enjoy a round of golf, relax at the resort spa, or take in the beautiful mountain scenery and enjoy the great outdoors. For more information and to register for District Conference go to www.Rotary5020.org/conference. We look forward to seeing you there! Welcome to the 2014 DTLA Information Portal. This year our theme is BYOB - Build Your Overall Bench-strength. Our goal is to inform and train our leaders and future leaders to work within Rotary, and inspire them to build strong clubs and develop great projects. District 5020 is fortunate in having many talented trainers to assist clubs with member training and leadership development. 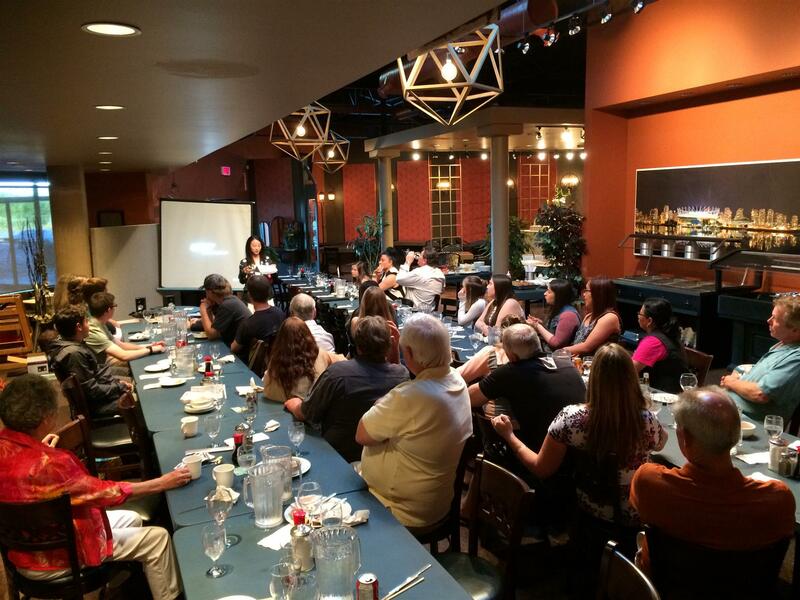 DLTA is one of the most important events in our district, combining education, networking and idea sharing, all the while building friendships amongst members from the top of Vancouver Island all the way to the Columbia River. Welcome you to DLTA 2014 and hope it will offer you the chance to Build Your Overall Bench-strength. Visit our information portal on the District 5020 website for more information and to register. 27th Annual Rotary Radio Auction! Another great success thanks to the volunteers and the generous donators & bidders from the North Island area! Our exchange student for 2013/14 is Lucas Wetterberg posing withRotarian & welcomer Ana Estrada. Our exchange student Maximilian Pakulla says thank you and good bye. Rotary annual Camp Out at Anutz Lake, plus a pig roast! Filomi Days 2013 Duck Race put on by PH Rotary Club, including Rotary children! Amanda Amarilho, our exchange student from Brazil says good bye and thank you with President Meagan Cadwallader & Past President Sandra Masales.! 100 years of Rotary 2013 supplement. Our 2013 exchange students Maximilian Pakulla & Amanda Amarilho from Brazil. Check out our 8' inflatable advertising logo! #9 in a 13 week series leading up to the 100 years of Rotary in BC! Stay tuned for next weeks! #8 in a 13 week series leading up to the 100 years of Rotary in BC! Stay tuned for next weeks! #7 in a 13 week series leading up to the 100 years of Rotary in BC! Stay tuned for next weeks! #6 in a 13 week series leading up to the 100 years of Rotary in BC! Stay tuned for next weeks! #5 in a 13 week series leading up to the 100 years of Rotary in BC! Stay tuned for next weeks! #4 in a 13 week series leading up to the 100 years of Rotary in BC! Stay tuned for next weeks! #3 in a 13 week series leading up to the 100 years of Rotary in BC! Stay tuned for next weeks! #2 in a 13 week series leading up to the 100 years of Rotary in BC! Stay tuned for next weeks! 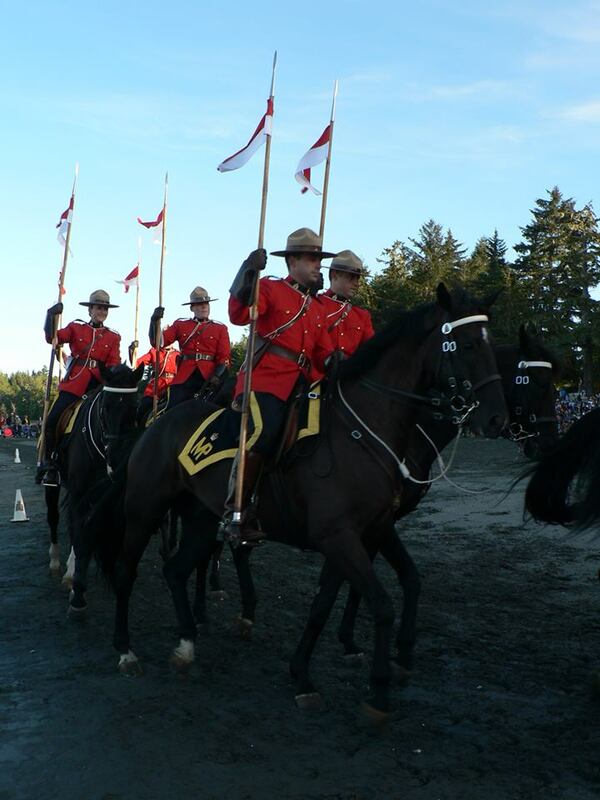 A first in a 13 week series leading up to the 100 years of Rotary in BC! Stay tuned for next weeks! Be sure to watch and listen for us on the Annual Christmas Caroling float starting at 6pm! Literacy BC believes that literacy—reading, writing, and strategies for learning—is the foundation of all other skills. With strong literacy, all knowledge is available. Literacy BC offers training, tools and support to those who work in adult literacy, and informs public debate through research. Our goal is a society in which learning is everywhere, and everyone learns, and everyone teaches. The BC Literacy Forum joins together diverse groups of people to engage in a dialogue about literacy. Government has set the vision to make B.C. the best educated, most literate jurisdiction on the continent. ReadNow BC is the action plan for achieving that vision. This website provides literacy practitioners, teachers, parents, and learners with information on literacy programs and initiatives, along with announcements about literacy events, and current research on promising literacy practices.